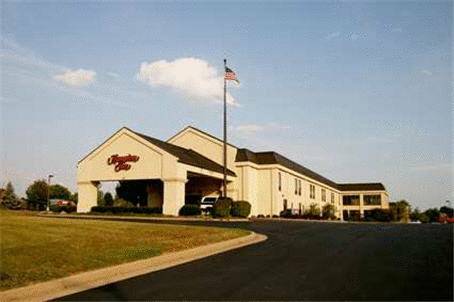 The Hampton Inn Bardstown hotel in Kentucky is located 14 miles east of I-65 and one mile west of U.S. Hwy. 31E. Our Hampton Inn is completely devoted to making your stay with us as comfortable as possible. By offering warm hospitality and clean updated accommodations we know you will love staying here. After all you have our 100 Hampton Guarantee. Hampton Inn Bardstown hotel offers Complimentary Hot Breakfast Buffet Indoor Heated Pool Complimentary Wireless High-Speed Internet Exercise Facility Meeting Facilities All of our hotel*s newly renovated room include the following amenities In-Room Movies Coffee Makers Hair Dryers Iron/Ironing Board Complimentary TV Japan /Japanese language programming/ Radio Alarm Clocks Hampton Inn hotel is also centrally located from all major points of interest Maker*s Mark Distillery My Old Kentucky Home The Bourbon Heritage Center Kentucky Railway Museum Abbey of Gethsemani Stephen Foster - The Musical Civil War Museum of the Western Theater My Old Kentucky Dinner Train We love having you here in Kentucky at the Hampton Inn Bardstown hotel. ALL RESERVATIONS MUST BE CANCELLED BY 11:59PM THE NIGHT PRIOR TO ARRIVAL UNLESS DEPOSIT REQUIRED. IF THE RESERVATION WAS MADE ELECTRONICALLY PLEASE CANCEL IT ELECTRONICALLY TO AVOID CONFUSION AND A NO SHOW BILL.